For a while now, we've been hearing rumors of RIM working on a new sort of desktop and device synching software solution for upcoming BlackBerry 10 devices and now there is a little bit more information out there to support those rumors. 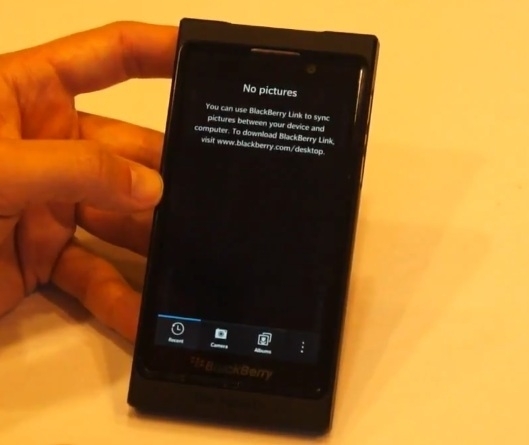 BlackBerry Link as it is referred to has been in internal beta testing for a while and has since been spotted on BlackBerry Dev Alpha devices at BlackBerry Jam Americas. Right now, there isn't much more info out there other than a screenshot and a name for it but, we're expecting to hear more about it soon enough. As it stands, BlackBerry Desktop Software / Manager is the go to application for synching media, information and apps but it's notoriously slow and cumbersome. A refreshed version of such an application would certainly be welcomed by everyone I'm sure.